If you ask most employees what they want most, a large number of them would want tangible rewards (like more money). According to Kiyosaki, the author of Rich Dad, Poor Dad, people mistakenly think that more money would solve all their financial problems, and so they keep aiming for that salary raise, promotion, or that higher paying position at another company. More money CAN solve certain financial problems, but unfortunately, if that extra money is not used well it simply won’t help. It’ll be just like lending money to a gambling addict (or a shopping addict). Imagine it this way. How much water can you keep in a bucket if it has a gigantic hole in the bottom? Even if your faucet can dump liters at a time, it’ll simply pass through the hole and your bucket soon empties. Getting a better faucet won’t help, but that’s how most people view wealth. People think that a stronger flow of water, a bigger income, will solve everything. People don’t understand that the problem is in how they mishandle and waste money. If they never learn good financial habits and plug up the “leaks” in their wallet, then no amount of extra income will help. There will also come a time when the money faucet will dry up, like through a job loss, a debilitating injury, old age and retirement, or something else. If they didn’t prepare by then, they will be in SERIOUS trouble. …but how much you KEEP! Build your net worth! 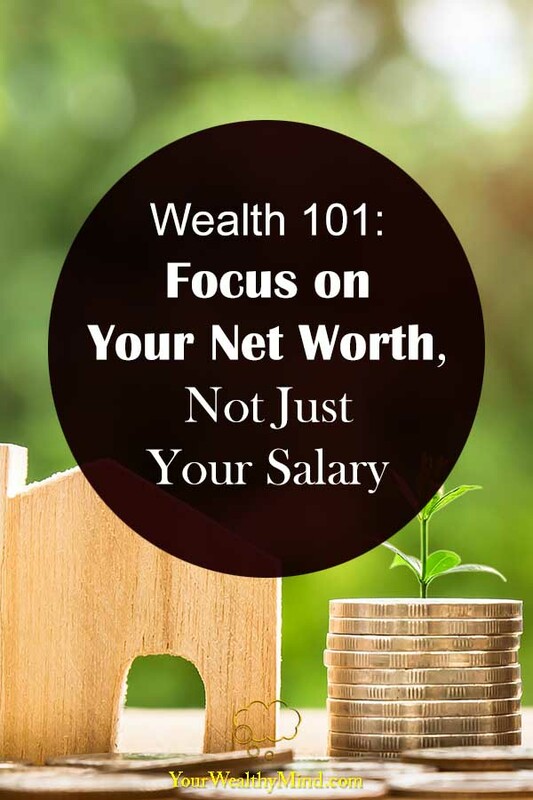 Instead of focusing only on increasing income which can easily disappear when situations change, focus a bit more on building your net worth. What is net worth? It’s the total value of your assets minus liabilities. In short, it’s the combined value of all the stuff you own, minus all your debts. A large salary is, of course, great as it’ll allow you to achieve a higher quality of life. Unfortunately, it does NOT guarantee wealth. After all, what use is a high salary to people who have a gambling addiction and lose it all, month after month, at a casino? There are also alcoholics who waste it all on booze, and shopping addicts who waste it all on expensive luxuries and “stuff” they don’t need. There are also those who lose money to “friends” who repeatedly ask for a “little” financial help and “friends” who borrow money but consistently forget to repay (in reality, they just use the money to pay for their vices and bad habits). A bigger salary shouldn’t be your sole focus. Aside from the urge to spend money unwisely, what would happen to you if you lose your job or get a debilitating injury when you don’t have insurance and you don’t have anything saved in the bank? What if you also owe thousands of dollars in credit card debt on top of that? You’ll be in BIG trouble, that’s what. On the other hand, if you have millions of dollars in your investment portfolio, you have a lot of money saved up for emergencies (enough for hospital stays and life-saving surgery), you are well-insured, and you have very little or no debt then you’re in a much better position financially. You can claim insurance benefits, use your emergency fund, and you have a lot left over in your investments to survive and live comfortably for a while. You’ll have even better chances if the investments you have earn money FOR you through rental income, dividends, capital appreciation, and more. If you’ve learned good financial habits, then you also won’t drag your family (and friends) down into financial ruin with you. Even better, you’ll have some wealth to leave your spouse, kids, and grandkids at the end of your life. 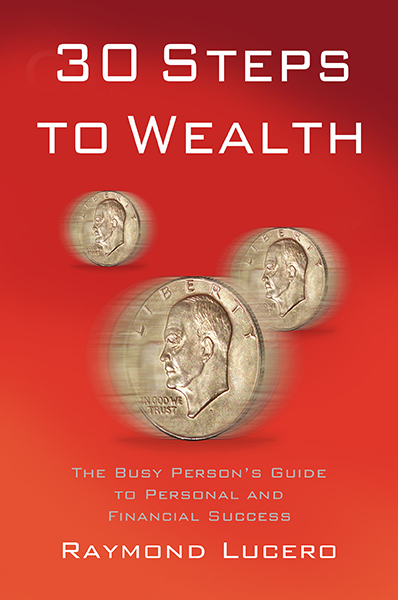 Instead of focusing only on increasing your income or salary, you must focus a bit more on building your net worth. Learn how to save, learn to pay off debts, learn how to find and invest in great assets, and make it a habit! A COMPLETE Lesson on Success and Personal Finance?